My interests include fitness, nutrition, motorcycles, good beer, whiskey, and reading. With the purchase of our first home, most of my free time is now spent at Lowes and doing projects around the house. I’ve lived in North Dakota, Minnesota, Michigan, Massachusetts, and am now back in Michigan. As much as I miss the ocean and the back-roads of New England, it’s good to be back in the high-five state. 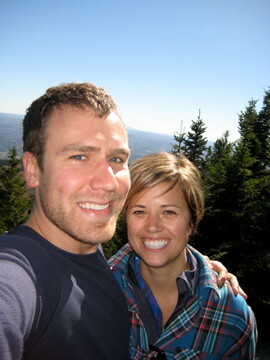 Greta and I hiking in Vermont during the fall of 2010.